After you’ve been involved in an auto accident you’re probably not thinking about how to win your car collision case. But as soon as the initial shock wears off you need to make sure you take the right actions to preserve the value of your claim. Here are 10 crucial mistakes that can prove to be very costly for you and your case. Not getting legal advice from an attorney as soon as possible. If you think it’s best for the insurance companies to figure things out, think again. Insurance companies are looking out for their best interest. You need someone looking out for yours. A personal injury lawyer can communicate with the insurance companies for you, collect evidence, and make sure you get the right car repairs and medical treatment to make sure you maximize your recovery. Not getting a police report. While a police officer’s opinion does not determine fault, it does help provide details on how an accident occurred and can prevent the responsible party from changing their story after they have had the time to think about it. Providing either insurance company with a written or recorded statement without first talking to an attorney. By providing a recorded statement, you are exposing yourself to potentially saying something that can hurt your case. Avoid the situations altogether and refuse to make a statement. Let your attorney handle the situation. Not getting medical attention. Even though you may feel fine after an accident, make sure to get checked out by a doctor to make sure that you are not injured. Many times injured victims feel fine after an accident because they are in shock, but in reality are suffering from a serious injury (e.g. brain injury, internal bleeding, or soft tissue injury). It is also important to have a doctor document your injuries to prevent the at fault party from arguing that you weren’t really injured. Not gathering witness information. If at all possible, seek out witnesses to your crash and get their contact information and statement. Many times at fault drivers argue that they were not at fault and try to blame the other party. Don’t let this happen to you. Not taking photos of the scene of the accident and your injuries. By not taking pictures of the car involved and the scene of the accident, it is tough to prove property damage and how the accident occurred. Also take photos of your injuries, which can have a very powerful impact with the jury. Not telling the truth. Always be honest when talking about your car collision case. If you are caught in a lie by the insurance company, they will focus on that and damage your case. Remember, it is difficult to earn and keep the jury’s trust. One lie about how the accident occurred, or your pre-existing or current injuries can torpedo your entire case. Talking about your case. Don’t share details about your case with anyone except your attorney. As much as you want to tell the world that your car has been wrecked or you have been injured in a car accident, don’t do it. You can count on insurance adjusters and defense attorneys securing access into your Facebook/Twitter/Instagram (even if it’s private) and find ways to minimize the value of your claim. Missing doctor appointments. Listen to your doctors and make sure to keep your appointments. Missing doctor appointments makes it look like that you are not injured or not feeling any pain from your accident. You want to be able to show that you are working hard to get better because you are seriously injured. Not discussing developments with your attorney. Your attorney has handled many cases before and knows what you need to do to preserve the value of your case. If you don’t follow his advice or keep him updated on anything new, you are hurting your case and only have yourself to blame. 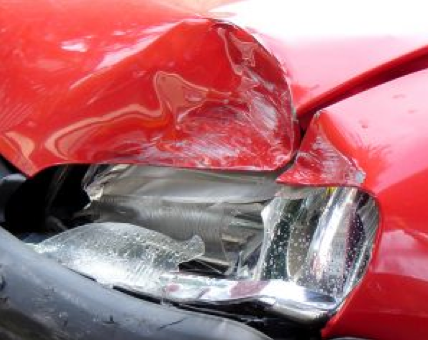 If you avoid these mistakes after you’ve been involved in a car collision, you greatly improve your chances of recovering a nice settlement for your property damage and bodily injuries.